No one wants to be in my cabinet! 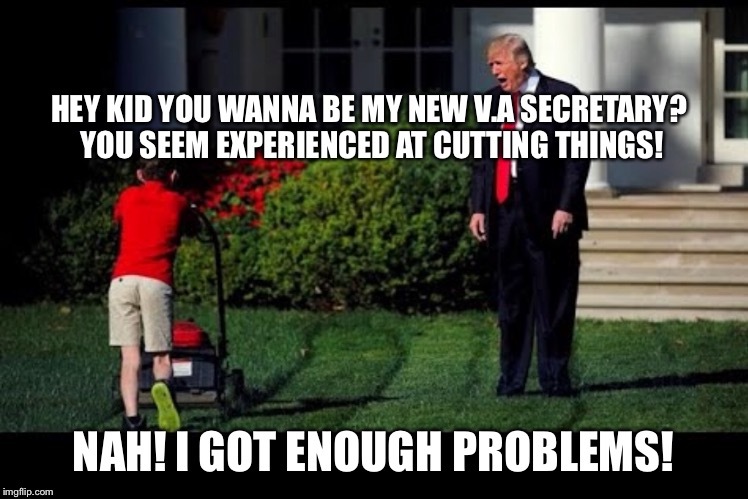 HEY KID YOU WANNA BE MY NEW V.A SECRETARY? YOU SEEM EXPERIENCED AT CUTTING THINGS! NAH! I GOT ENOUGH PROBLEMS!